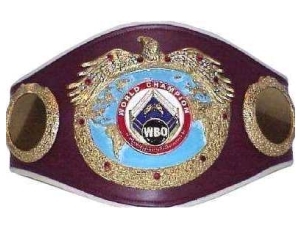 It will be Frenchman Medhi Bouadla, 26-4, that take on WBO supermiddle champ Arthur Abraham, 35-3, December 15 in Germany, writes media in both France and Germany. Bouadla, a tough, technically limited brawler, fought his last fight at supermiddle back in June of last year when he was stopped in six by Mikkel Kessler. He has since won four straight - including the WBA Int´l title - but at middleweight. Bouadla was early in 2011 to have challenged then IBF middleweight champ Sebastian Sylvester but the fight was cancelled when Sylvester pulled out sick - as it was Mehdi was then fighting at supermiddle.